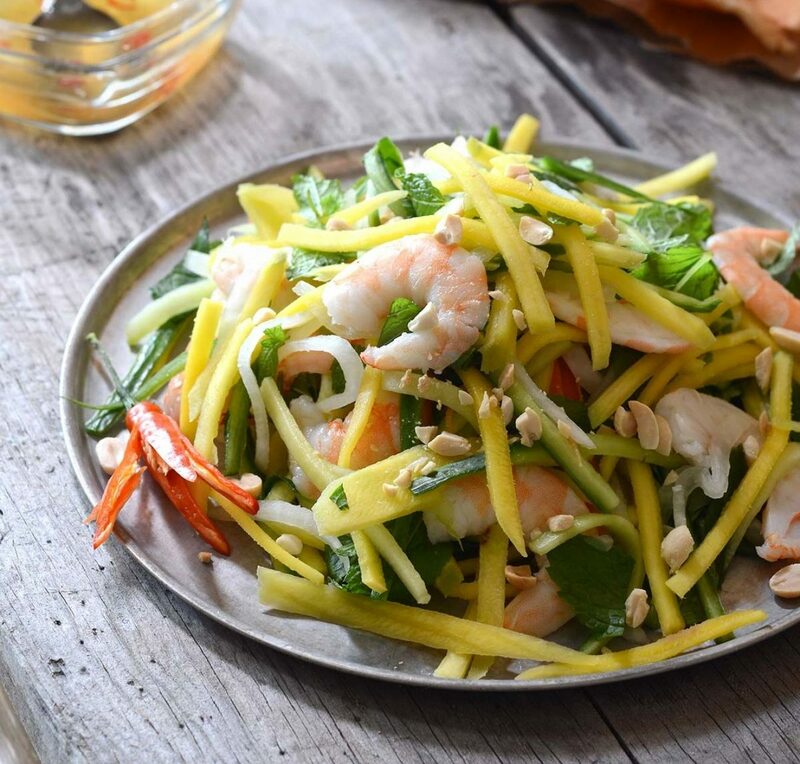 Inspired by my recent visit to Vietnam and the variety of fresh foods on offer, one of my favourites was this crunchy flavoursome, sweet, sour and salty green mango salad. Don’t worry about sourcing green mango’s, just use a mango that isn’t ripe from supermarkets. Prepare the mango and veggies. Remove seeds from cucumber and mango, then julienne everything. 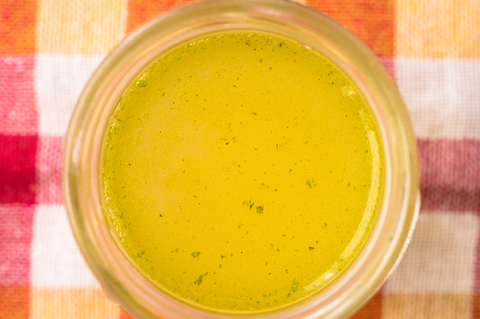 If you don’t already have pickled mooli and carrots ready, make a quick pickle. Mix equal parts water, vinegar, and sugar in a large bowl, enough to cover the veggies. 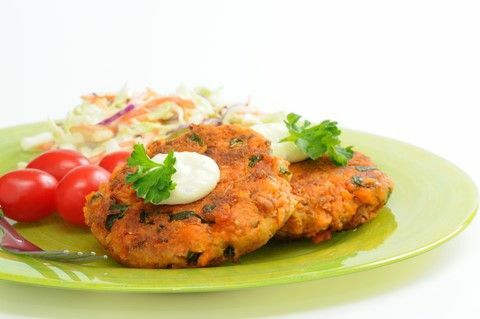 Add carrots and mooli to the bowl for 40 minutes. Add cucumbers to the bowl for the last 20 minutes. Drain when ready to mix the salad. Bring a pot of water with 1 tsp salt to a boil on high heat. Add shrimps/prawns until they turn slightly pink, then drain and put over ice to prevent it from cooking further. Mix ingredients for the salad dressing.